Vatican City (kath.net) On October 19, 2014, Pope Paul VI (d. 1978) was beatified. During the beatification by Pope Francis a reliquary was brought to the altar. The historian and Vaticanist Ulrich Nersinger, who has written an important biography of the new Blessed, explained to Kath.net where this relic came from. Kath.net: Mr. Nersinger, what is the origin of the relic that was displayed on Saint Peter’s Square during the beatification? Ulrich Nersinger: In November and December of 1970 the new Blessed had made a nine-day pastoral journey to Asia and Australia. Immediately after landing at the airport in Manila (Philippines), the 35-year-old Bolivian artist Benjamin e Amor Flores rushed up to the Pope and tried to stab him to death. 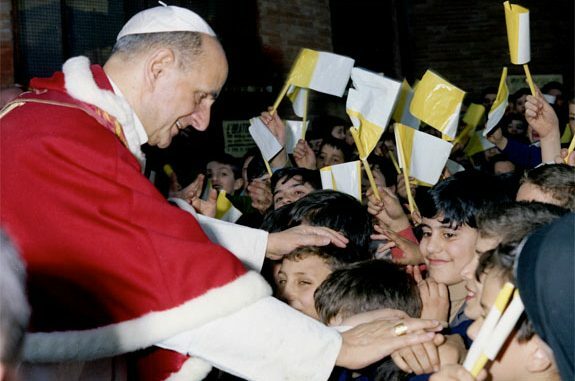 The knife of the assailant, who was wearing priestly garb, hit Paul VI twice, in the chest and on the neck, but only superficially, yet in such a way that the wounds bled. The Pope’s entourage managed to wrestle Mendoza to the ground. The Pope immediately gestured to them not make a fuss about the incident. During the Mass that was celebrated afterward the liturgical vestments covered the Pope’s minor injuries. 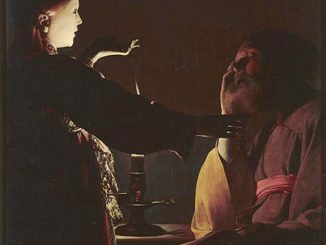 After the celebration of the Eucharist, the papal physician who was traveling with them attended to the two wounds and gave his patient a tetanus shot. Again the Holy Father gave a sign to those present not to make public what had happened. Kath.net: But news of it did reach the public after all, didn’t it? Nersinger: Yes, and very quickly. The Italian Parliament even interrupted its session for a short time. In Italy the media reported that the private secretary of Paul VI, Don Pasquale Macchi, fended off the assailant like a “bantam-weight boxer”. In the Philippines they tried to portray the local President and the Archbishop of Manila as the ones who prevented the attack. In the United States they regarded Monsignor Paul Casimir Marcinkus from the Papal Secretariat of State as the Pope’s rescuer. “A Filipino rushed at Pope Paul VI with a knife; Marcinkus, 6 feet 4 inches tall, weighing 220 pounds, simply forced him to the ground” (The Washington Post). From then on the “powerfully-built American” (as one Italian newspaper put it) “was responsible for the foreign travels of his boss” as papal “bodyguard”. Kath.net: What did the Pope himself think about the attempt on his life? He made an effort to underplay it to the point of insignificance. In conversation with the later Curial Cardinal Sergio Pignedoli, the Pope expressed most of all his amusement about the competition among his “bodyguards”.